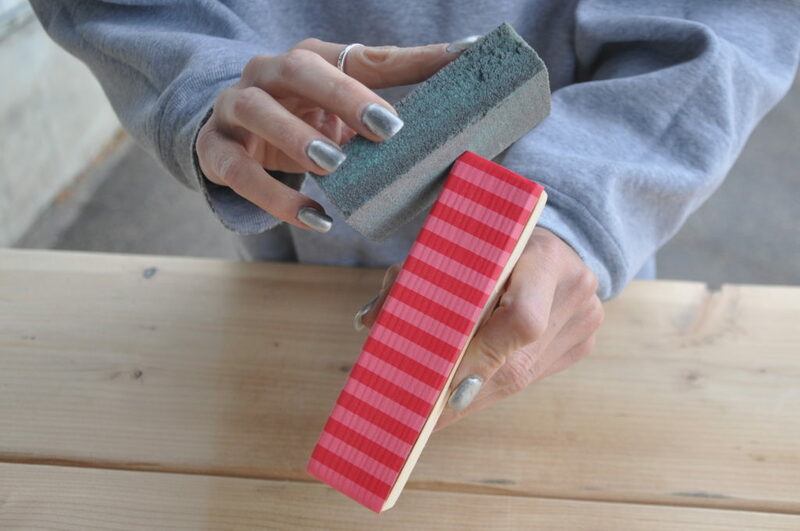 Once we chose our fun non-traditional Christmas colors for painting the wood, we gathered up Matte Finish, a sanding block, brush, and some scrapbook paper in text weight. Stay away from any paper that is too heavy and thick, like cardstock. Decoupage works easier when your paper is easily pliable. 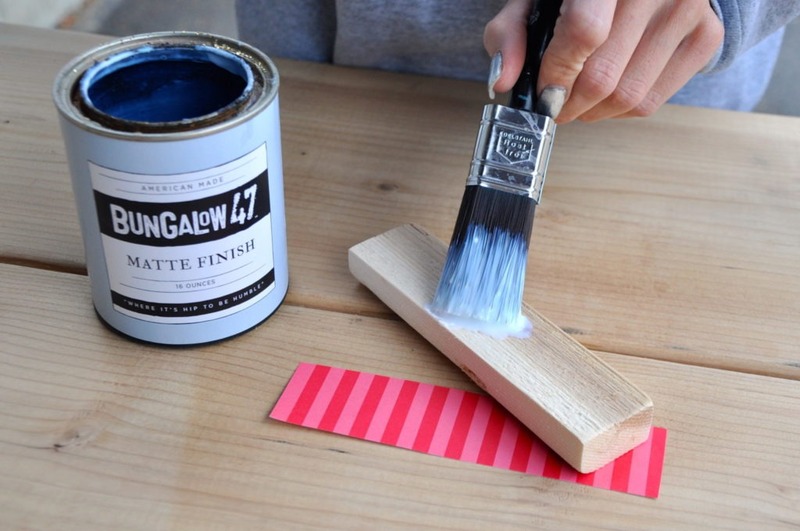 Start by applying a generous coat of Matte Finish on the surface that you will be covering. Place your paper directly onto the wet Matte Finish. 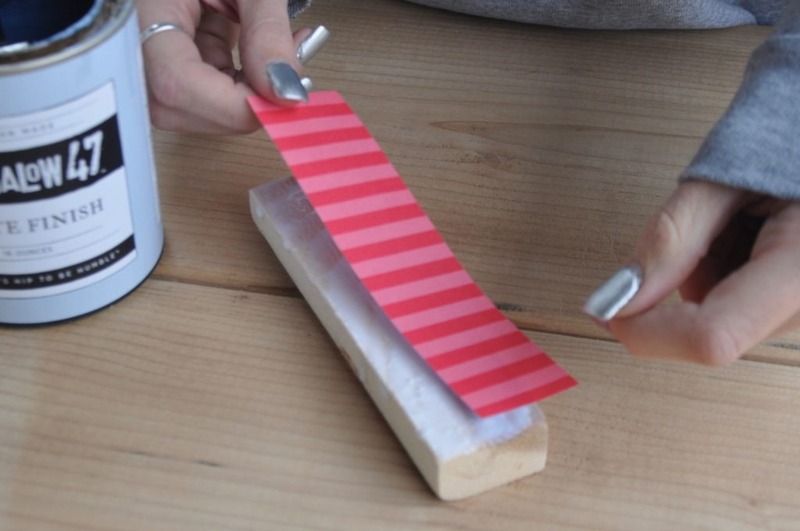 You can cut your paper the same shape as your wood piece, or it can extend over the edges and can be sanded off. Either way, it’s a preference thing of how your edges will look. 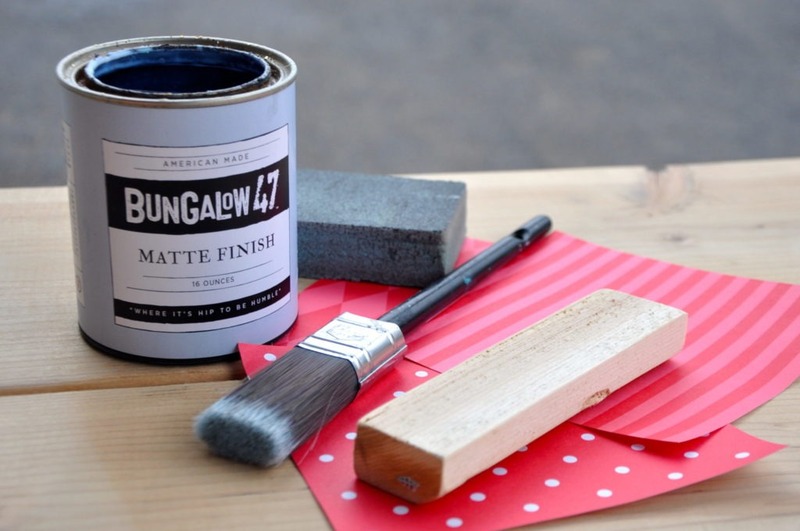 Add a generous coat of Bungalow 47™ Matte Finish over the top. The finish goes on milky, but dries clear! Smooth out any obvious bubbles if you have them, just use your finger or a rubber spatula softly. After the finish has dried, go back and sand the edges off, if that was the look you chose. 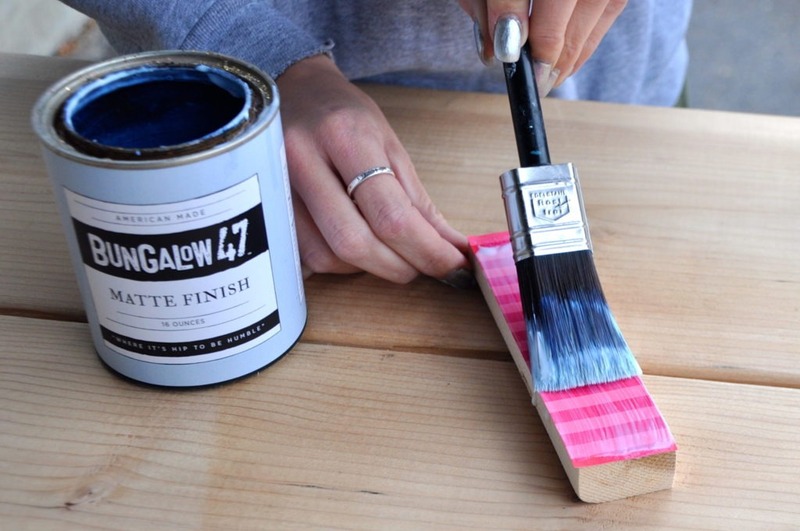 Our wood blocks were painted using Swimming Pool from our Bungalow 47™ Furniture Paint, which is a chalk and clay based paint. 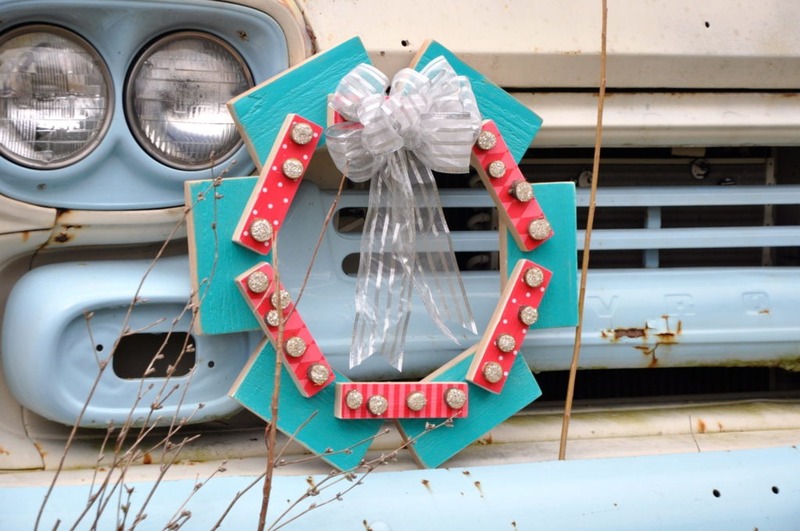 Here’s our fun little, funky Christmas wreath! 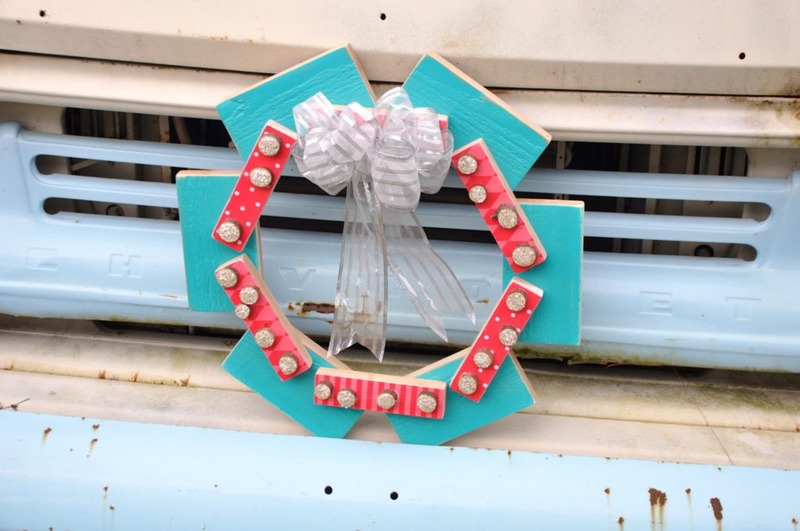 Decoupage is a great way to easily add pattern to any project. Consider decoupaging drawer interiors or face fronts, table tops, and wood boxes to add a bit of pattern and interest to your project. You might use old book pages or sheet music, patterned tissue paper, love letters, photos copied onto lightweight copy paper, and more for additional decoupage fun! 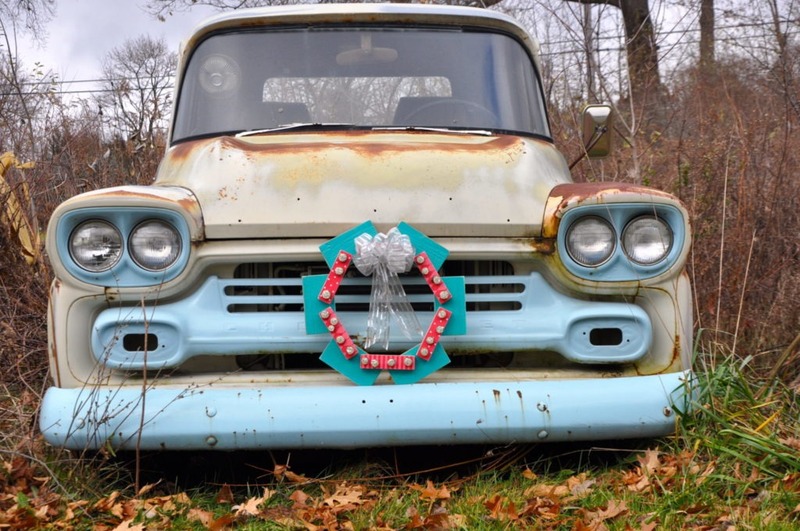 Just get creative with it and make it your look! 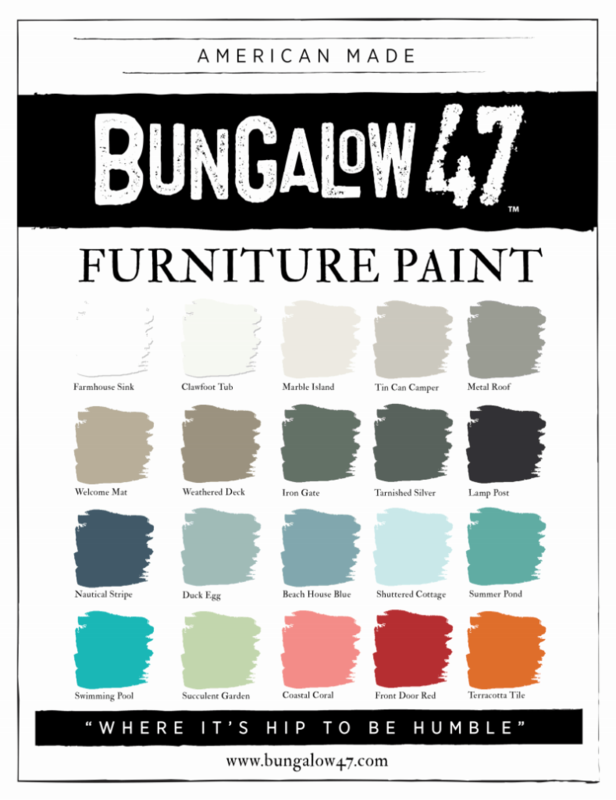 Bungalow 47™ Furniture Paint comes in 20 colors and is zero VOC and solvent free, so it’s safe to use for all your project needs. Stay tuned for more painting fun coming soon!